WASHINGTON — Two senior Boeing executives publicly rejected Aerojet Rocketdyne’s bid to acquire United Launch Alliance, the government launch services provider Boeing owns jointly with Lockheed Martin, and one also said a government investment will be required for ULA to develop its planned Vulcan rocket. “ULA is a huge part of our strategic portfolio going forward along with our satellites and manned space business. This bid we’ve really not spent much time on it at all because we’re focusing on a totally different direction,” Chris Chadwick, president and chief executive of Boeing Defense, Space & Security, told reporters Sept. 16 at the Air Force Association’s annual technology expo in National Harbor, Maryland. Craig Cooning, president of El Segundo, California-based Boeing Network and Space Systems, made similar comments at a Sept. 16 press briefing in Paris at the World Satellite Business Week conference organized by Euroconsult. 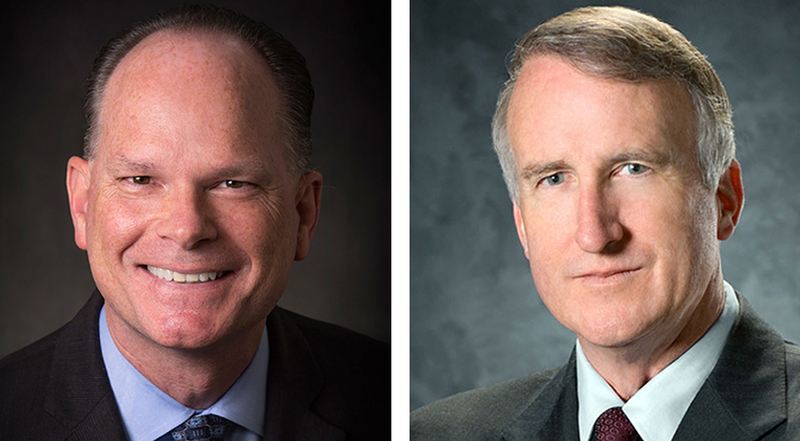 “The bid from Aerojet is something we didn’t really take seriously and we don’t take it seriously because we see ULA as part of our core mission,” Cooning said. Cooning currently is chairman of ULA’s board of directors, a position that rotates on a yearly basis between him and Rick Ambrose, executive vice president of Denver-based Lockheed Martin Space Systems. Ambrose is vice chairman and will assume the chairmanship in January, Cooning said. Previously the companies all declined to discuss the $2 billion offer, news of which broke Sept. 8. 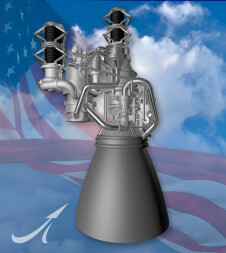 Sacramento, California-based Aerojet Rocketdyne supplies the upper stage engine ULA’s workhorse Atlas 5 rocket and the upper and main-stage engines for its Delta 4 rocket. But ULA is planning to phase out both vehicles — the Delta 4 because of its high cost and the Atlas 5 because it uses a Russian-built main engine subject to a congressional ban whose exact timing is still being debated. Aerojet Rocketyne is developing a new main engine for the Atlas 5 dubbed AR1 but needs a government investment in the high hundreds of millions of dollars and several years to complete the effort. However, ULA is planning to develop a new vehicle dubbed Vulcan whose main stage would be powered by the BE-4 being developed and funded by Blue Origin, the rocket company led by Amazon.com founder Jeff Bezos. ULA regards the AR1 as a back up option in case Blue Origin of Kent, Washington, falters on the BE-4, which is larger than any engine the company has developed to date. ULA President and CEO Tory Bruno has said that to develop the Vulcan, which ULA hopes to begin flying around 2020, it needs a substantial investment — he has hinted at a $1 billion figure — from Boeing and Lockheed Martin, who since ULA’s 2006 creation have profited handsomely from the joint venture. ULA has long had the U.S. national security launch business all to itself, but that monopoly is coming to an end with the rise of challenger SpaceX of Hawthorne, California. To date, Boeing and Lockheed Martin have only released small amounts of funding for Vulcan’s design and development in quarterly increments. 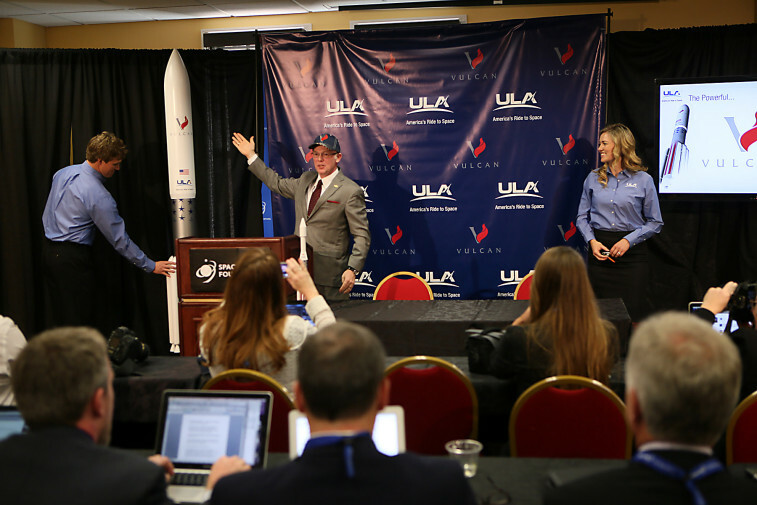 Cooning said some combination of relief from the ban on the Russian-made RD-180 engine and government investment will be required for ULA to remain business and move forward on the Vulcan development project. Congress appropriated $220 million in 2015 for an American-built RD-180 replacement, with a mandate that it be ready by 2019, but Cooning said that funding is misdirected. Meanwhile, however, the U.S. Air Force is expected in the coming weeks to award as many as four contracts worth a combined $160 million for prototype rocket propulsion systems using the funding appropriated by Congress in 2015. Several companies, including Aerojet Rocketdyne, are said to have submitted proposals to the Air Force during the summer. At a press conference during the Air Force Association conference, Julie Van Kleeck, Aerojet Rocketdyne’s vice president for space and launch, said the upcoming contract awards — including the number of and value of the awards — will help determine the availability of an American-made engine. Van Kleeck declined to say exactly how much money Aerojet needed to keep the AR1 on track for 2019. But if, for example, the Air Force were to award $10 million contracts, “that’s a longer period of time,” she said, stretching past 2019.